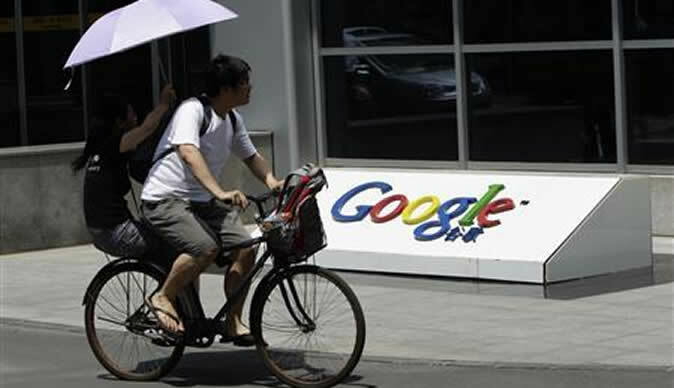 Xinhua News reports that the search engine giant, Google, on Tuesday came under media fire for paying bloggers to write about its Chrome web browser. Search engine optimization website "SEO Book" first reported Monday night that over 400 pages of blog posts from late December bore the label "This post is sponsored by Google Chrome" with titles like "Google Chrome helps small businesses find success online." Search Engine Land, a blog covering search engines and marketing, then pointed out that some paid posts have a hyperlink to Google's Chrome download page and such links can help the website rise higher in Google search results. Most of the links are marked as "nofollow" which means the link would not influence the link target's ranking in the search engine's index. The blog noted that paying money to include such links violates Google's Webmaster Guidelines. If Google punished itself, the Chrome download page would be removed from its search engine results for between one month and a year. Google on Tuesday blamed Unruly Media, the company it hired to conduct the campaign. "Google never agreed to anything more than online ads. We have consistently avoided paid sponsorships, including paying bloggers to promote our products," said the company in a statement to the technology news site The Verge. Google did not say whether it plans to penalise its own Chrome download page. Unruly Media said it didn't ask bloggers to link to the advertiser's site and noted this is a mistake as "there was one link in one post that was not marked nofollow." In 2009, Google penalised Google Japan in search-engine rankings after the subsidiary hired a company that paid bloggers to post about Google features.